Dominiko Waqaniburotu of Fiji has been cited for alleged foul play during his side's 35-11 defeat by England in the World Cup on Friday. The flanker was penalised for lifting England winger Jonny May above horizontal and lowering him to the ground, but was not shown a card by referee Jaco Peyper. Waqaniburotu, 29, will have a hearing with an independent judicial officer at 10:00 BST on Monday. 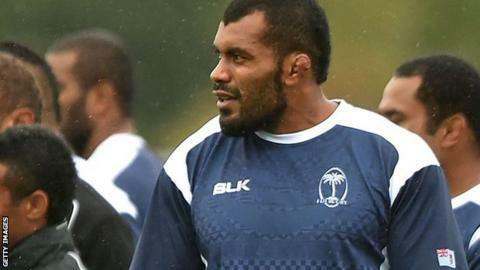 Fiji face Australia on Wednesday.